"Can a runaway bride stop running? Forced to live in close proximity, it’s hard to ignore what they had shared before Lucas’s wedding proposal ended everything they had. But then an unexpected phone call from England allows Lucas a rare glimpse of the true Elle. Can he deal with Elle’s hidden past when it finally comes to light?" I am a huge Sue Moorcroft fan, and despite first encountering Starting Over by Sue Moorcroft over three years ago (my review can be found here), I still remember how much I enjoyed the book and most importantly, the love I felt for Ratty. So when ChocLit offered me the chance to review Sue's latest book, I didn't even need to read the synopsis before jumping at the chance. 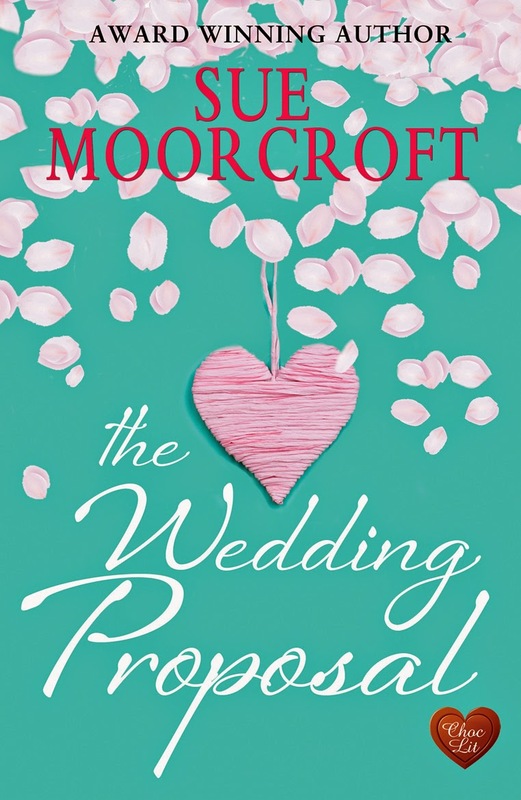 There is never anything to fault with Sue Moorcroft's books. They have exceptional characters (some that melt your heart (whether they be children or adults), some that you want to be friends with, some that you dislike immensely, some who you fear (the dreaded Fiona) and one who you fall in love with (or in this case two - Lucas and Carmelo)), great pace, a great storyline with twists and turns and some damn good romance, and The Wedding Proposal is no exception. This book wasn't what I had expected, as "the wedding proposal" in question is something from Elle and Lucas's past. I loved the beginning of the book when Elle and Lucas clash after being thrown together for the first time in four years, and I enjoyed getting to know them both and seeing how they worked around each other after all this time. There are also some exceptionally good secondary characters, who make the book complete. You need to read Starting Over by Sue Moorcroft AND The Wedding Cake Tree by Melanie Hudson!